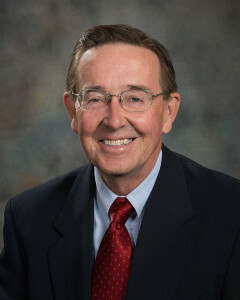 Nebraska state Sen. Al Davis is a rancher, a longtime resident of rural Nebraska, a proponent of renewable energy, and a Republican. Now going into his fourth year as a state legislator, Davis views this as a propitious moment for his home state to convert much more its abundant wind into exportable energy. Living in the Sandhills community of Hyannis, with a population of just under 200, he has witnessed the challenges that threaten sparsely populated rural America. His district, which is roughly twice the size of New Jersey in area, has fewer than 40,000 people, and that population is declining. One way to reverse that trend, he believes, lies in the development of wind energy. Click here to read Karen Uhlenhuth’s interview of Senator Davis. This entry was posted in Nebraska / Midwest News, NewsBlog and tagged Karen Uhlenhuth, Midwest Energy News, Nebraska State Senator Al Davis, renewable energy deployment & community economic development in Nebraska, wind energy development in Nebraska on December 16, 2015 by Helen Deffenbacher.